This module for PrestaShop lets you create your own newsletters with news and offers from your store. 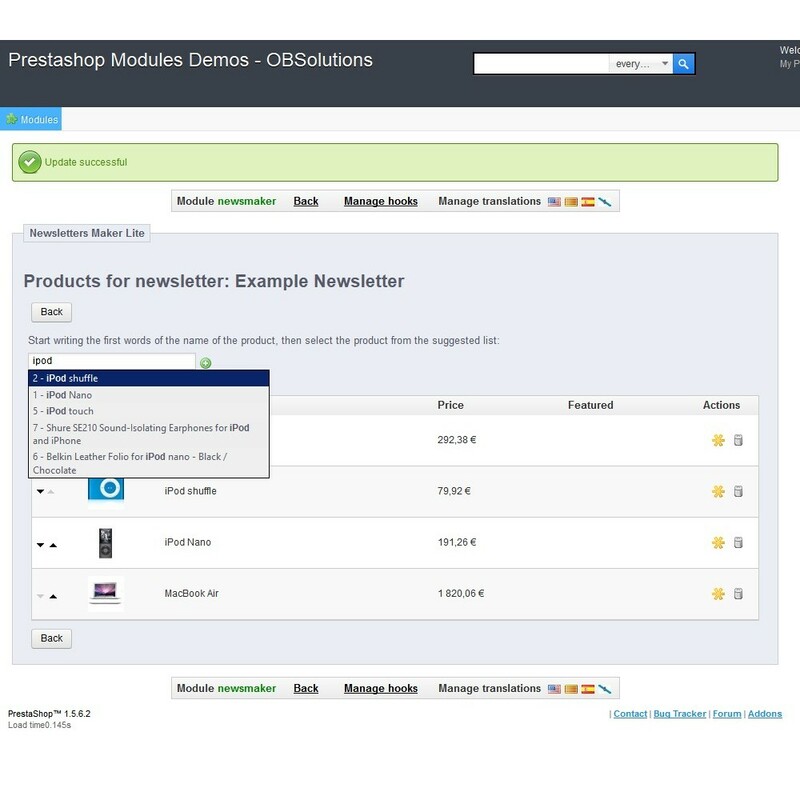 Create your own newsletters from the back office of PrestaShop store. 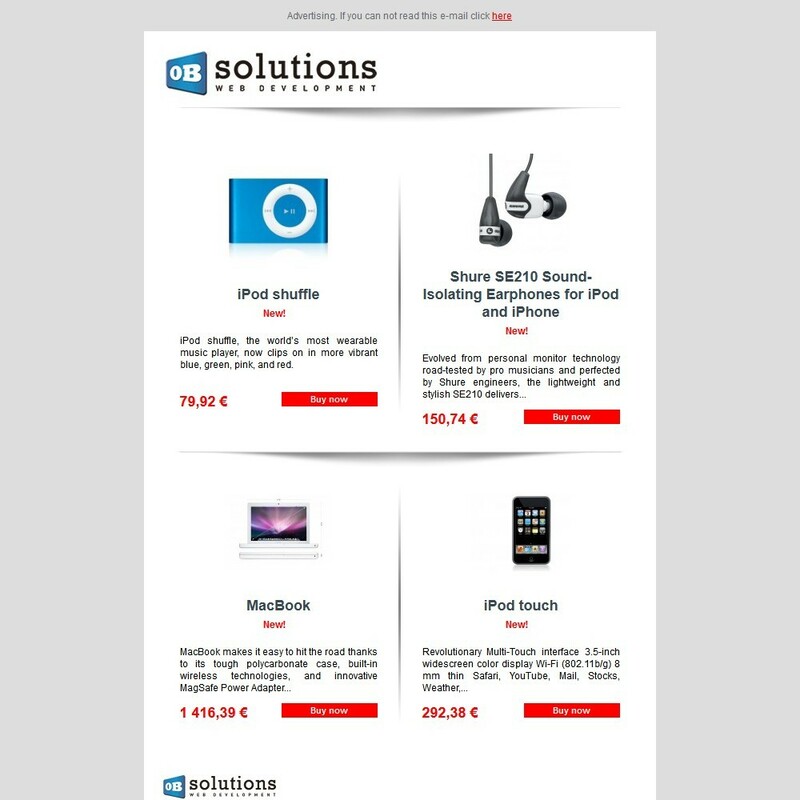 With Newsletter Maker Lite you can create newsletters choosing the products you want to include the design (colors) of the same. Sometimes creating a newsletter takes time, we must design the shipping enter email product images, prices ... And this can be misleading. Now you can save time creating your own newsletter in 3 easy steps. Newsletter Maker Lite does not send emails, only to create newsletters in HTML version so you can easily send from an external application that lets you get the newsletter's HTML from a URL. 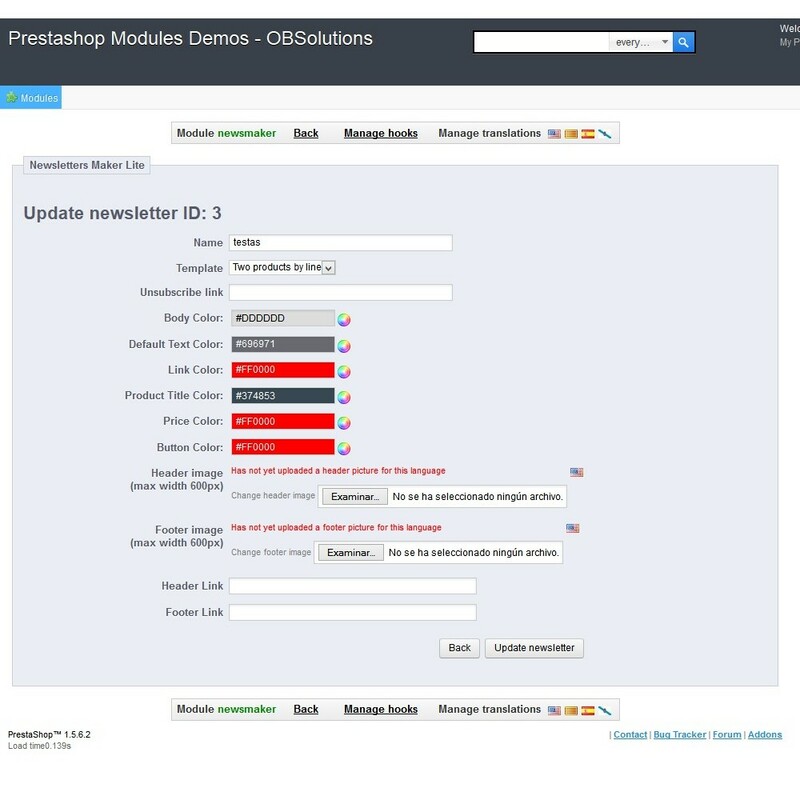 With this module, you can edit existing, already placed orders from back office. You can easily modify ordered products, documents, shipping, payments methods and much more. This module allow you to create a custom mail and sent it when an action occur. It also allow you to use an option to delay the mail sending. Your customers will be pleased to receive a newsletter with offers that : you choose, is clean, tidy and identifying a pattern of your store. Excellent support. The module will save us tons of time and resources a day. To install the module should be directed to the tab 'modules' of the back office of PrestaShop and select 'Add a module from my computer'. It opens a window where you select the ZIP file you downloaded to buy this product and once selected, click on the button 'Upload this module'.